The truly Italian Fiat Punto. 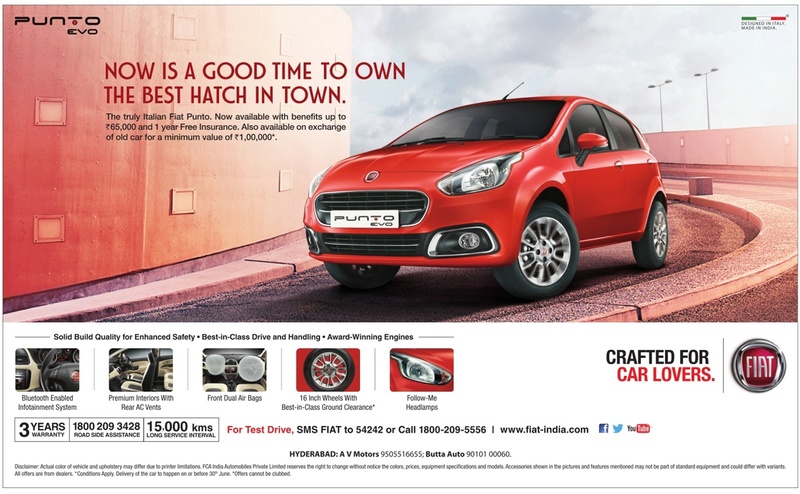 Now available with benefits up to Rs 65,000 and 1 year insurance. Also available on exchange of old car for a minimum value of Rs 1,00,000. Sold build quality for enhanced safety + best-in-class drive and handling + award winning engines. For test Drive, SMS FIAT to 54242 or call 1800-209-5556 | www.fiat-india.com.